When a PCB fails, the user often attempts to source a replacement, only to find that it is obsolete or expensive. 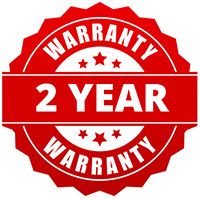 In either instance, IER are on hand to provide a reliable and cost effective repair service. We have an extensive range of components available from stock or our specialist suppliers, both in the UK and internationally. 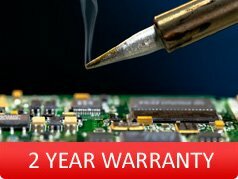 IER successfully repair thousands of PCB’s every year, using the very latest component testing technology. Our equipment allows us to test analogue and digital components both in and out of circuit, then faulty components are replaced and burnt out tracks repaired as necessary. We also have the ability to reprogram many IC’s. Software verification and back up is carried out whenever possible. These are often carried out without the availability of fault information and/or circuit board diagrams. To complement our repair service, IER are also able to remanufacture low quantity obsolete printed circuit boards to a high standard. For a FREE scheduled collection and a FREE PCB repair quote, call our Customer Service Centre on: +44 (0)1462 671001 and we will be glad to help. Printed circuit boards electrically connect and support a variety of electronic technologies. They are constructed from plastic and enforced with glass, utilising copper wiring in place of traditional wires. The copper wires connect these components, forming a circuit. They are found in a range of modern technologies, including computers, televisions and radios. The thinness of the PCB board also allows it to be incorporated into many modern, slim line devices, such as the laptop.